What does it mean to be a storyteller for your brand? How do you stop talking at your customers and start sharing stories that can actually change the world and help people live better lives? 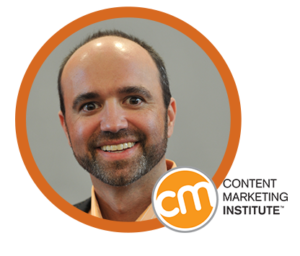 I could think of no better person to answer these questions than the godfather of content marketing, Joe Pulizzi of the Content Marketing Institute. The first time I heard Joe speak live was at Content Marketing World in 2015. He was passionate, energetic, and dressed in bright orange. Joe makes a strong impression. It is easy to get caught up in the “marketing” aspect of content marketing. We talk about product features, we talk about pain points and how our brand solves them, we talk about landing page copy and lead funnels and email drip campaigns and conversion rates. But we don’t often talk about our stories and how telling those stories can make a difference in the world. I recently had the opportunity to ask Joe about what, exactly, storytelling means for brands and how it can help your brand stand out in a sea of content. Let’s start with the basics. Words like ‘storytelling’ become buzz words and lose their meaning when they get used over and over. What exactly does it mean for a brand to use storytelling? Joe P: I’m sure there are a number of definitions for storytelling. In the marketing space, I consider storytelling the consistent delivery of content to a customer that actively engages them… that spurs them to new behaviors and actions. In most cases, when we talk to large enterprises, I stay away from talking about storytelling — a lot of CMOs dismiss it. What we do focus on is consistent delivery of content that is not about the company, but about the audience and their pain points and needs. You have said brands shouldn’t just be talking about their products, which can be frustrating for marketers who are trained to sell. If they can’t talk about their products, what should they be talking about? Joe P: First, you have to realize that our customers don’t care about our products and services. They care about themselves. Second, if you go into most enterprises, 95 percent of the content generated is about features and benefits of the products and services. That content works when people know exactly what they are looking to buy and who you are… but that is a very small percentage of your audience. What do you deliver to the rest? Simply put, if you don’t deliver interesting, engaging and valuable information, you will be ignored. All those channels you have today to talk to customers — email, social media, podcasts, webinars — what a waste it would be if we only talked about ourselves and didn’t try to build a relationship with our customers? Sadly, this is what most companies do. Brands need to focus on a differentiated story where they have the authority to communicate, like John Deere does to farmers, and Indium does to mechanical engineers, and Red Bull does for sports fanatics. You’ve talked about the ‘content tilt,’ which is an area with little competition where brands actually have a fighting chance to stand out. What kind of questions should brands be asking themselves to find that sweet spot? Joe P: Who’s the audience? For this to succeed, you can only focus on one audience at a time. What are the special skills and knowledge we have as a company that no one else has? Where do we stand out? What are the key pain points of our target audience that we can address better or different than anyone else? Is the topic area small enough so that we actually have a fighting chance to be the leading provider of that information in the world? As more social platforms implement algorithms, which reduces organic reach, you made the argument that organic publishing on social media may no longer be necessary. What does this mean for brands who have spent years building a loyal following? Did they waste that effort? What should they be doing instead? Joe P: No, it’s not totally wasted. They can use those connections as a key data source in platforms such as Facebook and LinkedIn, to then determine what their customers are engaging in so the company can create better content. But from an organic delivery standpoint, sadly, yes… most of your organic content won’t be seen. Better to use those platforms as advertising channels to distribute your content. 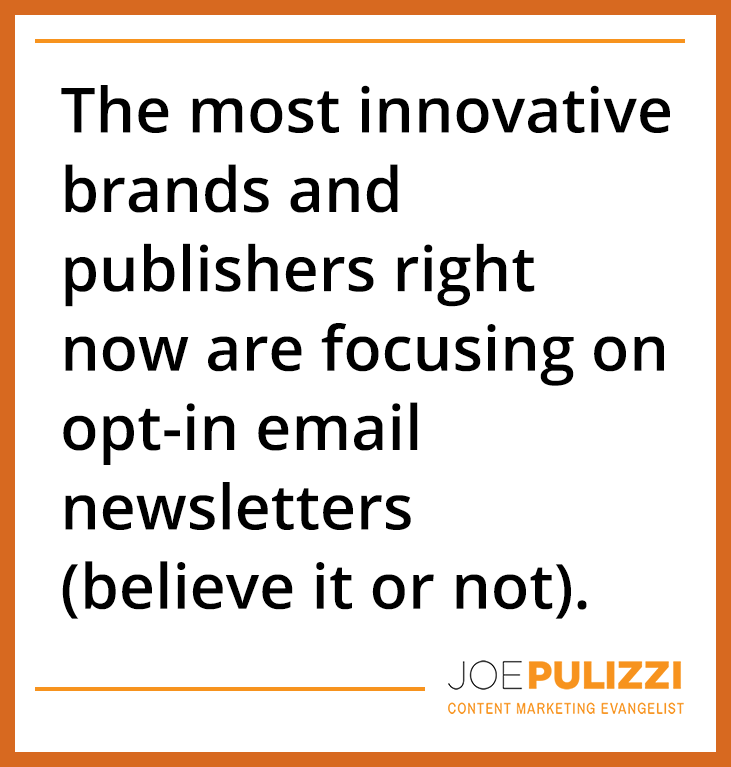 The most innovative brands and publishers right now are focusing on opt-in email newsletters (believe it or not). What brand do you think is currently using storytelling in the most innovative way? Why do you think it is working so well for them? Joe P: I love what General Electric is doing with podcasting (they have multiple podcasts that don’t mention their products at all). They are really focusing on segmenting their audiences and building content destinations. Pepsi, Modelez and Marriott have all built content studios where they are not only building audiences, but looking to monetize the content directly creating marketing as a profit center (like Red Bull has already accomplished). This is the second year CMI has hosted Intelligent Content Conference in Vegas. What can you tell me about the conference? Who should consider attending? 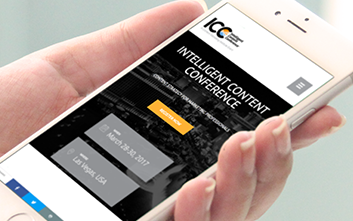 Joe P: Intelligent Content Conference (March 28-30, 2017) is for any marketer who is truly serious about their content strategy. ICC is a technical conference covering deep strategy, technology integration and multiple tactics on how brands can better scale their content marketing efforts. This year our focus is machine learning and marketing, and we have some amazing brands represented including the Washington Post, IBM Watson, PayPal, LinkedIn, 3M, Red Hat, Zillow and many more. Any final thoughts or advice about storytelling for our audience? Joe P: Yes…choose one audience, focus on one key content type (audio, video, textual), one key content platform (blog/website, iTunes, YouTube) and deliver value outside your products and services consistently over time. That’s the formula. Danielle Antosz is a freelance editor and content marketer who spends her days brandishing her red pen and her nights dreaming about a world where everyone agrees the Oxford comma is a necessary grammar device (it totally is). You can follow her on Twitter.